Accessibility options for G Suite for Education services and Google's Chrome browser have improved in the last couple of years. If you use these services with students who need improved accessibility options, the G Suite user guide to accessibility is a resource that you should bookmark. The user guide is divided into sixteen sections. In the first section you will find recommendations for the best screen readers to use while using G Suite on Mac, Windows, and Chrome OS computers. The other sections of the guide are devoted to specific products within the G Suite including Google Classroom. Each section contains information on accessibility shortcuts, screen reader instructions for each app, and in some sections you will find how to videos like this one for using a screen reader with Google Docs. The Chrome Web Store includes a small collection of recommended extensions that can improve content accessibility. If you're a ClassDojo user, you should have recently received an email about three new features that have been added for the 2018-19 school year. One of those features is significant and two are just convenient. The significant update is found in ClassDojo's new Student Portfolios service. This free service was announced at the end of the last school year will soon be available to all users. ClassDojo Portfolios are student-led portfolios. Students can choose the items that they want to include in their portfolios. They can include pictures, documents, videos, notes, and drawings in their portfolios. Just like in the current Student Stories teachers will have to approve all submissions before they are shared. Parents are able to see only the work of their children and not of other children in the class. The best of ClassDojo Student Portfolios is that the portfolios can stay with a student from year-to-year even when they change teachers. Class Stories is the ClassDojo feature that teachers can use to distribute pictures, videos, and written updates about their classes for parents to see. Student Stories is updated for the new school year with an option to share multiple pictures in a story. This feature is kind of like including multiple pictures in one Instagram post. Finally, ClassDojo now gives you the option to display all points, only positive points, or no points when sharing updates with parents. 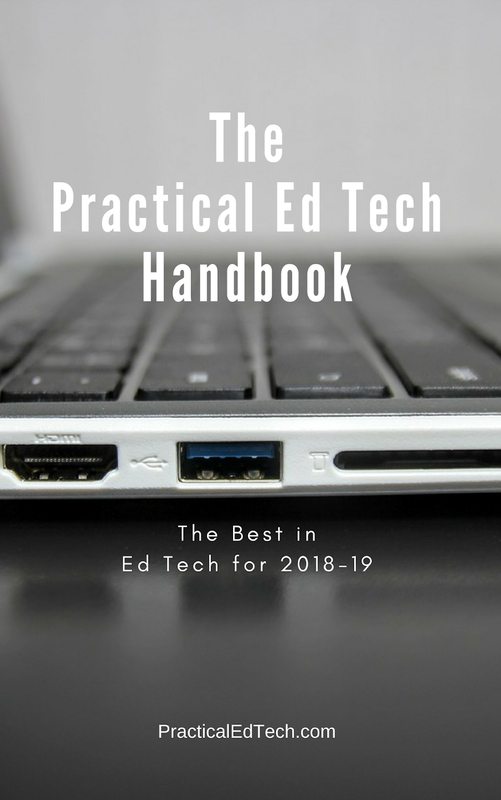 Last night subscribers to the Practical Ed Tech Newsletter were sent copies of the 2018-19 Practical Ed Tech Handbook. This annual publication is a free, 36 page PDF that highlights my favorite educational technology sites and apps. Video creation and flipped lessons. You can download a copy of the Practical Ed Tech Handbook here, view it as a Google Doc, or view it as embedded below. (If your school blocks Box.com, you won't be able to download the PDF through the links above. If that's the case for you, send me a note at richardbyrne (at) freetech4teachers.com to request a copy).